What makes our camp so unique and special is the size and flow of our group. We keep our ratio small: one counselor per three children. We also cap our group size at 6 to 8 children per group. In this way, kids feel seen and understood. We develop the flow of the day and structure of activities to meet the individual needs of the children in the group. We are careful not to over schedule the children. We honor the natural rhythms of the child and the day; the in- and the out-breath. A harmony of excitement and relaxation is sought through a balanced flow of free play, adventure, story time, structured games, crafts, snack and circle times. We integrate mindfulness and movement activities into everything we do. The camp is developed to support the social and emotional growth of the children. We integrate many activities that promote sensory integration and emotional regulation. We are happy to answer further questions. Simply fill out our contact form and we will call and email you to set a time to talk. Please know that our sessions do fill up so if you would like your child to join us this summer, contact us soon! Please know that our sessions do fill up so if you would like your child to join us this summer, contact us soon! Fiddleheads Summer Camp is led by marriage and family therapists, interns, and trainees with masters degrees, or counselors pursuing masters degrees in psychology. All of our counselors receive weekly supervision and thorough training and support. Group size up to 6-8 children with 2-3 counselors. We offer separate groups for different ages ranging from 5 to 12. The start time is 9:30 and end time is 2:30. Drop off is 9:15 – 9:30. Extended care may be available upon request for an added cost. Please let us know early if you are interested in extended care. This is the actual cost of the camp. If you can afford the full cost of the camp we encourage you to choose this option. This is our historically subsidized tuition. This option is available for families that need some financial assistance. Tier 3: 2 weeks = Scholarships determined base on the application. This is a variable rate for families with financial assistance needs are greater than Tier 2. We can provide additional assistance to families that demonstrate a need through our Financial Assistance Fund. ● $100 off for early-bird sign-up by March 1, 2019. ● $25 off for each additional child or additional session sign-up. ● $25 credit toward camp fee or future Fiddleheads program for any referred sign-up. 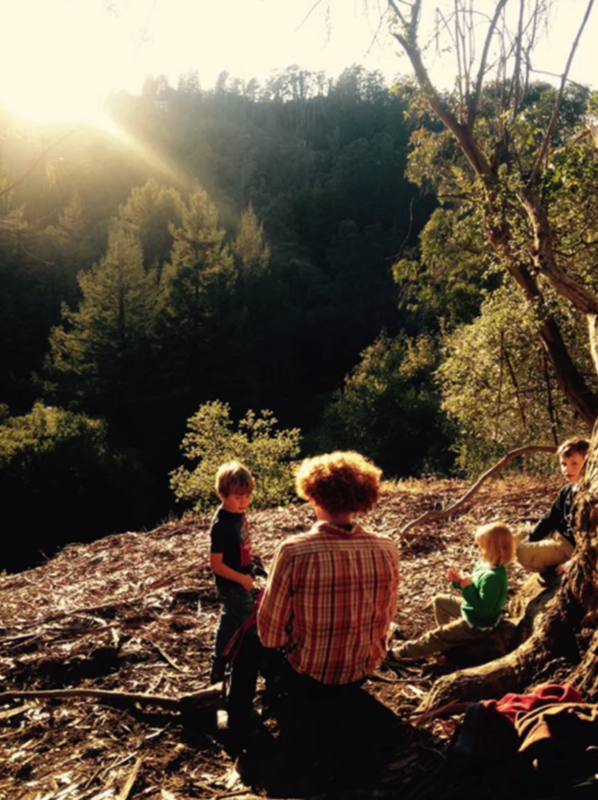 Groups meet in Joaquin Miller Park or Redwood Regional Park. Groups meet in Tilden Park at the parking lot near the Brazil Building. Groups meet at Blithedale Summit. Groups meet at Helen Putnam Park. Groups meet at Park Presidio, Inspiration Point. Where do the children spend their time? The children spend all of the time outdoors, alternating between sun and shade to ensure temperature regulation and avoid sunburns. If you have multiple children, depending on their ages, social and emotional needs and your wishes, they may be in separate groups or together. The activities we have are very diverse. Those include the games children offer themselves – tag, capture the flag, sports, blue fish – red fish, night at the museum, eagle eye, hide-and-seek, etc and games that we facilitate, which enhance sensory, social and emotional awareness. Those games include mirroring, role-playing, dramatic re-enactments, animal-embodiment games, acting out feelings, arts, crafts and other games designed to develop their motor, coordination and other skills. We also hold circles where children share and listen to each other, participate in guided meditation and spend some quiet time listening to stories. The day consists of alternating active/quiet time designed to assist children in releasing and regulating their energy. Do you have aftercare available? Aftercare availability and cost depends on interest. Historically, we offered aftercare until 5:00pm and the cost was $21 per hour. There could be a discount for multiple children. Do you have any additional discounts and specials? Earlybird Can be combined with our multi-session discount. Guarantee your spot by March 1, 2018 and you can change your camp session or location through May 1, 2018 for absolutely no fee. Multi-session discount: Sign up for two or more camp sessions and receive $25 off each additional camp session. Multi-child discount: Sign up for two or more children and receive $50 off your total camp cost for each child. Referrals: Refer a new family to Fiddleheads and receive additional $25 off your total camp cost. Please make sure your friend(s) reference your name and code FRIEND in the “How do did you hear about Fiddleheads” section of the application. Extended care: Get 25% off extended care when you sign up for two or more camp sessions. Do you provide make up sessions for sick days? We provide such a generous financial aid that we can’t do make up sessions for sick dates. **$100 deposit is non-refundable, unless special arrangements have been made. If there had been no intake, $50 of the deposit can be used as credit towards a future session.